The Palm Island CDP Market Garden Activity Team have been hard at work landscaping the garden at the Palm Island Motel. 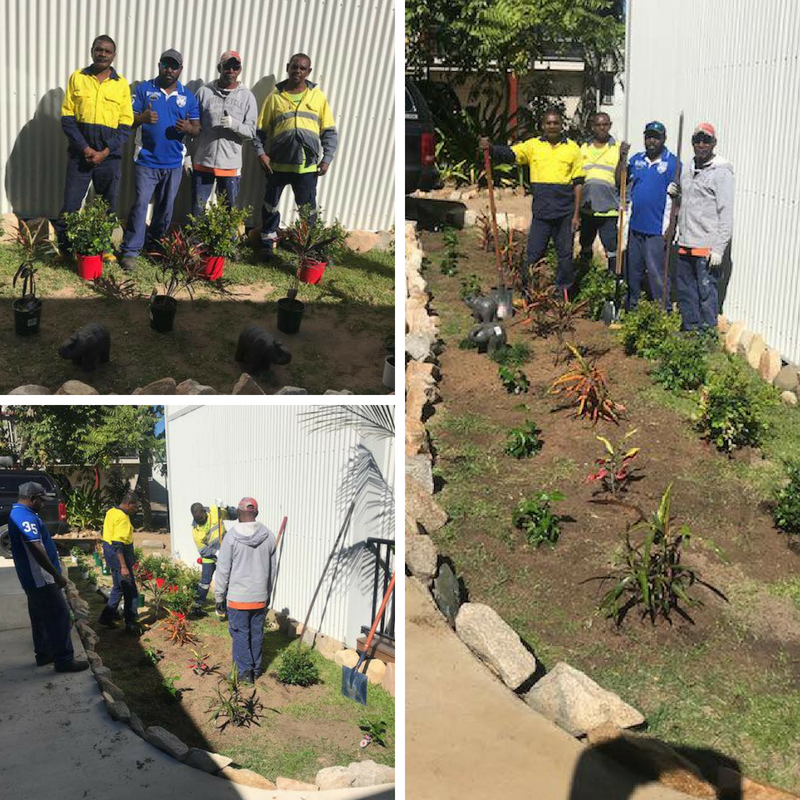 Under the guidance of Activities Manager Peter Sherry, job seekers Malcolm Larry, James King, Malcolm Kennedy and Robert Thompson planted lilly pillys, crotons, miniature hibiscus and mondo grass in the new garden beds at the Motel. Palm Island Motel Manager, Eric Townsend was extremely pleased with the result. It looks fantastic and has made a great impression on the motel- Eric Townsend, Palm Island Motel Manager. The team have done an outstanding job and the garden has made an immediate visual impact. Well done to the team for all their effort in producing such a beautiful outdoor space.